Right lets get on with it! LOL! 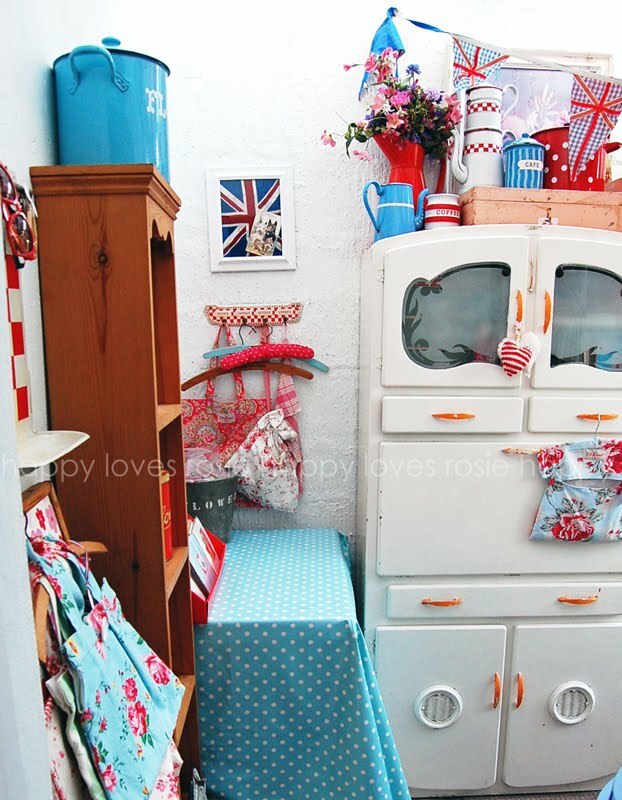 As you can see from my pictures I have been tidying and rearranging my craftroom…well I say its a craftroom, really its an outhouse come laundry room! 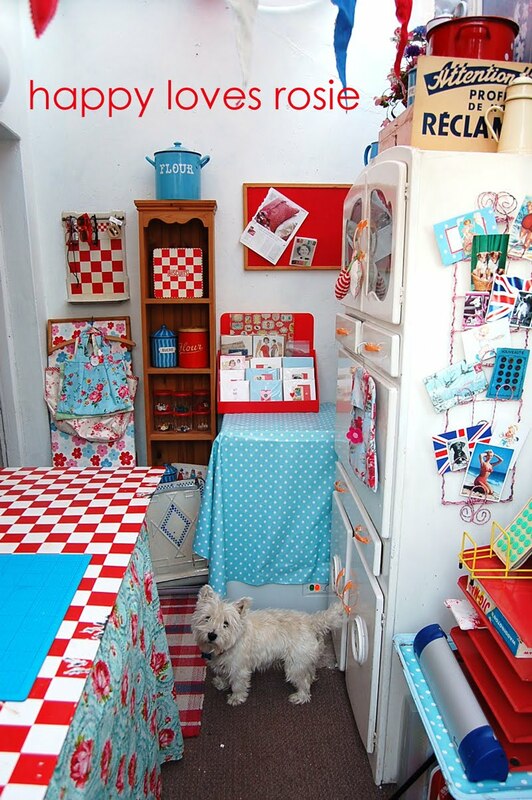 Yes I really have packed everything and the kitchen sink in this small space…but it so needed a tidy and a spruce up, as I have been working on a few projects lately and have got into a total mess…its not hard, as the space is sooo small! 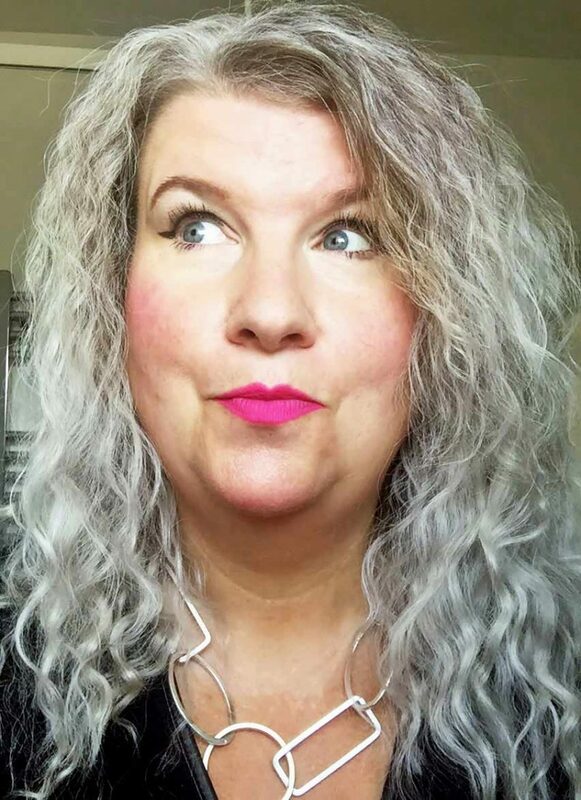 This is the finished look…all the pictures that you see here…phew what alot of colour I hear you say…but thats me, and I suppose it always will be…I love clashing it all as you know! and a good thing about having a clearout, is finding things that you forgot you had 🙂 saves you going out and buying more!!!! NOT hehehe! 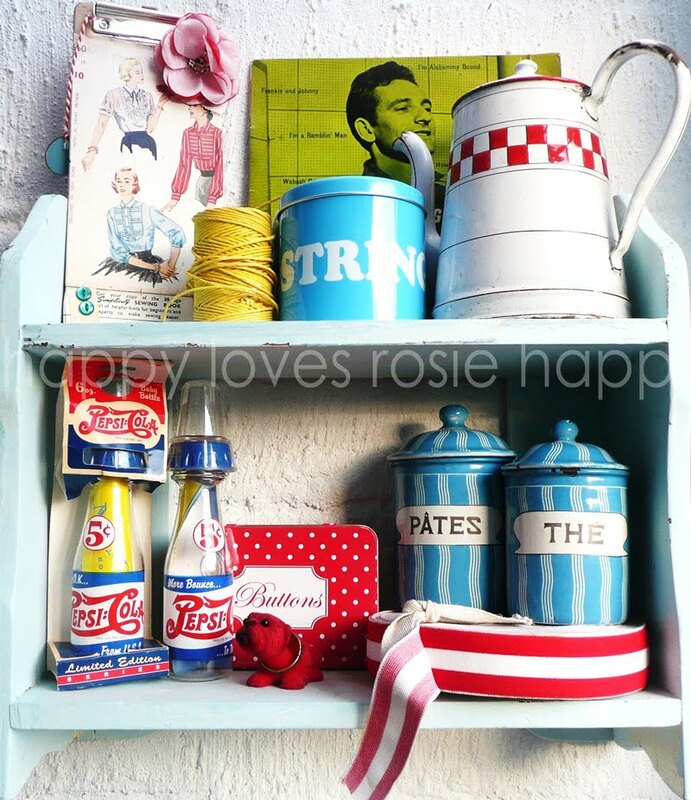 I have all my past and present bits and pieces stored in cafe, tea and Farine tins and jars! Infact I would rather store my items in vintage tins and wotnot…these pieces were built to last, unlike anything that you buy today…nothing is made to last, we are living in this throw-away society…which is such a shame! BIG up the Vintage collectables LOL! Last week I ordered some MOO cards, this is the first time I have ordered these cards and I was really quite impressed. They were a bit darker than I would of liked – but then is that me being a bit finicky!….Is that a word?! LOL! The piccy above is taken with buttons that I found at a good old english booty that I went to last week… I have included pictures of the stash. Its not often that you find a whole collection like this. I was thrilled to bits, I was cooing and coveting everyone that I got out of the bag…oooh! aahhh! Oh Look! ah lovely! ah no look at that! It went something like that! HA HA! 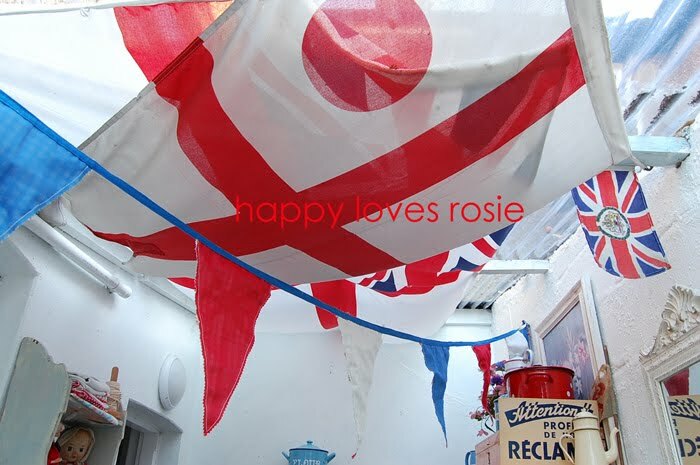 Previous Post Bright, Fun and Happy …. Next Post I CAN SEW !!!!! Such a gorgeous room! 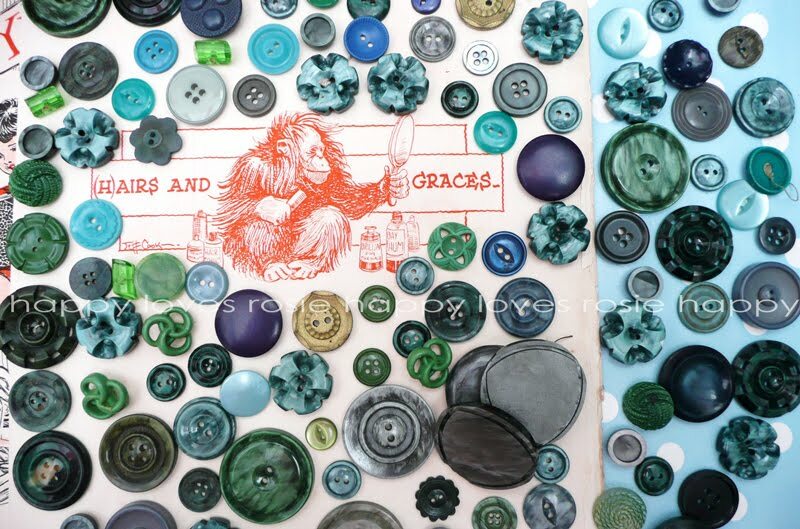 I'm very impressed with the recent additions to your button collection! Hi, I want to do a post on some of my favourite blogs (you're included, of course). Can I show some of your photos? 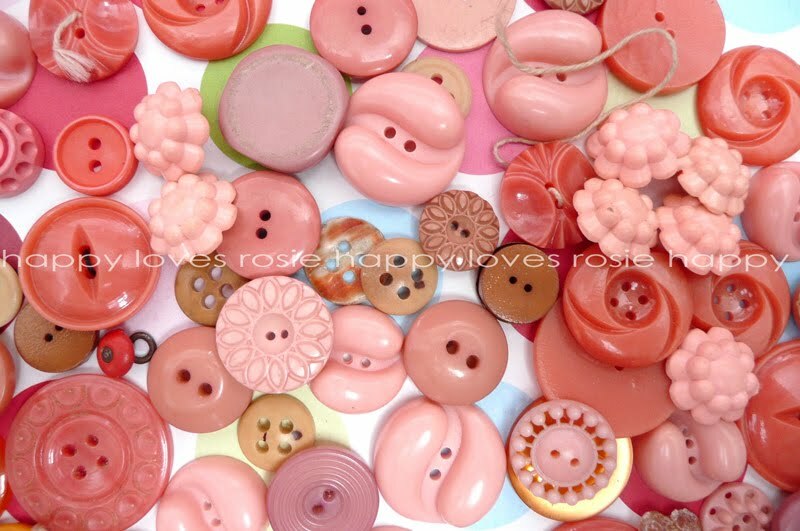 I really love your buttons esp the red colour! 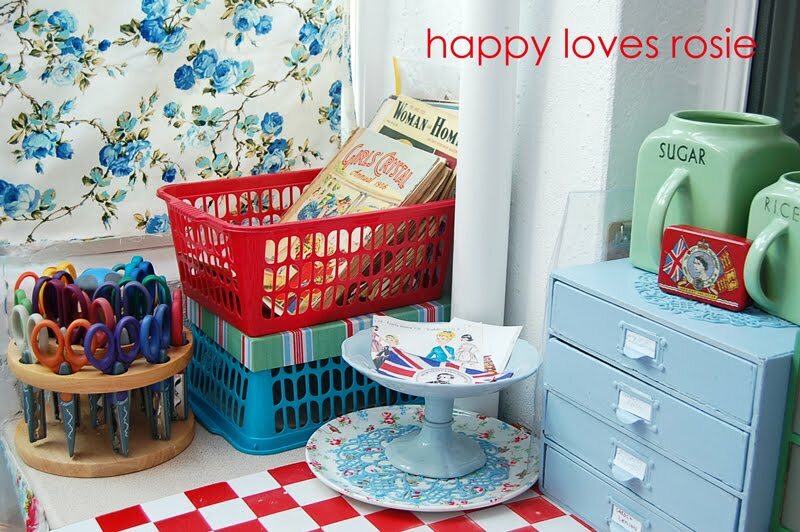 just lovely when you have them display.. and your craft room just wonderful! so colourful & Happy indeed! What a wonderful craft room. And your buttons are just lovely! 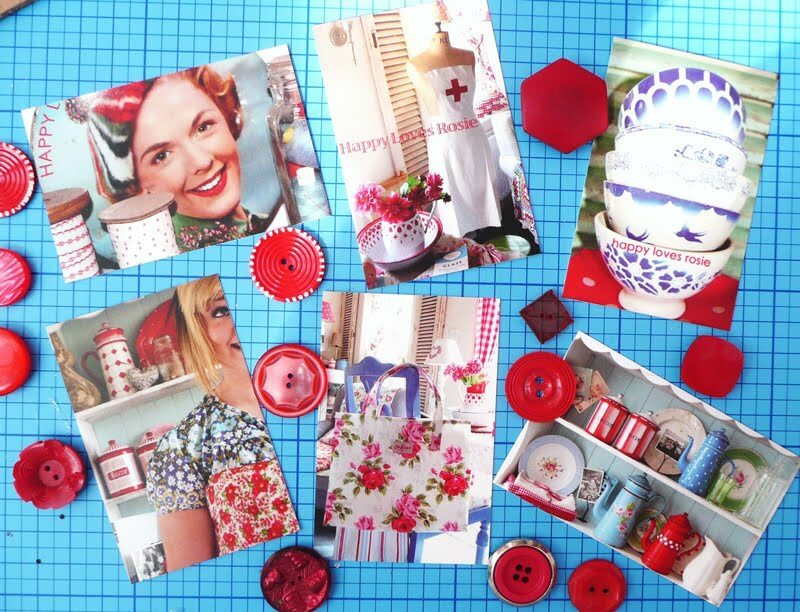 Your bottons are so so lovely..I adore your images! Always such a treat to come visit you…you really make my heart happy! I love buttons, too! Everything you do is so cheery…makes me happy to see your posts!